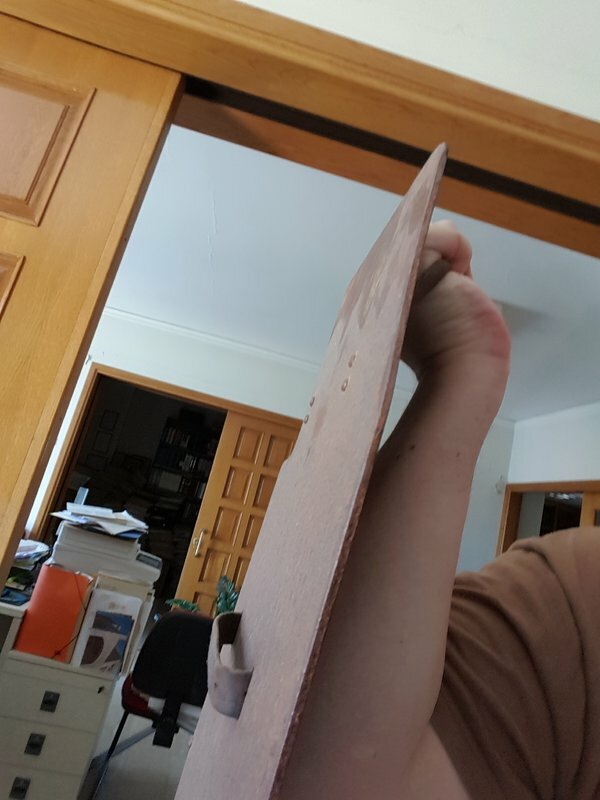 i recently purchase this body armor, photos are show the condition of the armor and details. 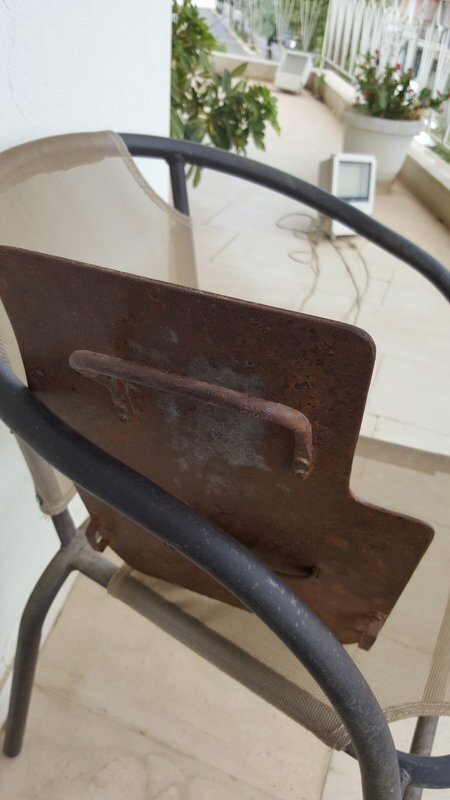 The marking "ET" means ironworks Thale A.G ???? has anyone have seen something familiar mayebe??? 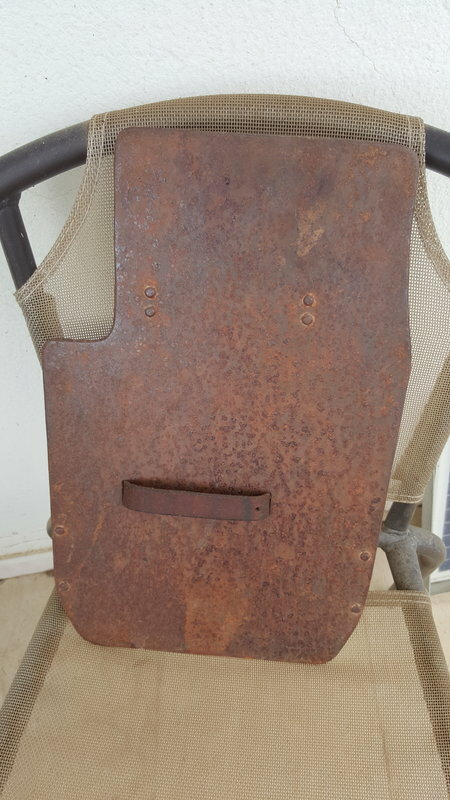 i have only see something familiar on british ww1 body armor. 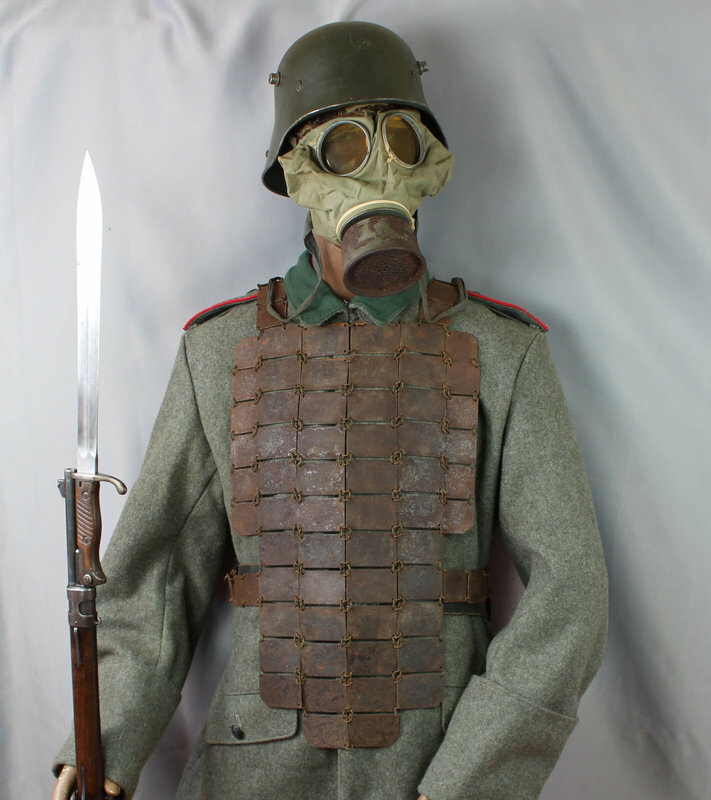 Nice looking display you have, not seen this type, but I have seen the full plate type German WW1 armor, the British army also used similar style in WW2. THANK YOU GERWYN, DO YOU KNOW WHAT THE E.T. MARKING MEAN???? ALSO, WHAT IS YOUR IDEA ABOUT THIS GRABENPANZER??? Henry, i do not know but remember that during war, soldiers and officers are seking the best way to protect themselves. 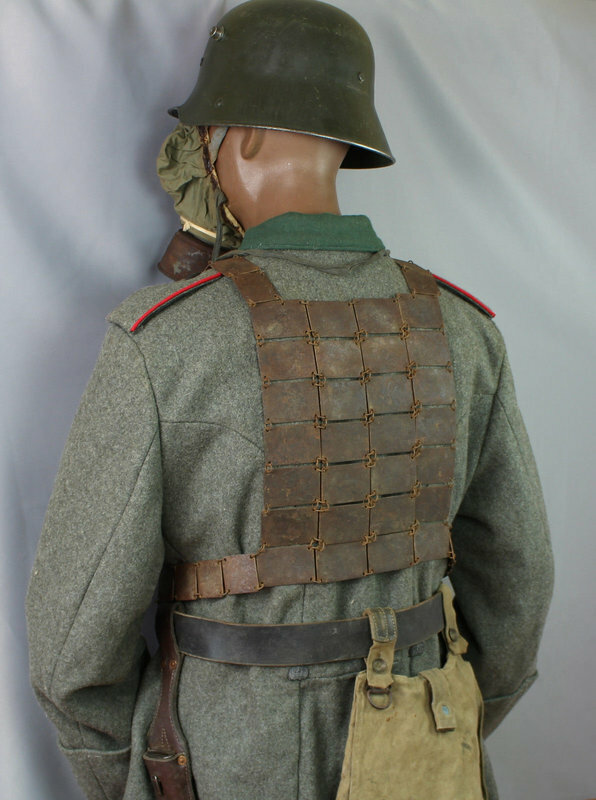 My opinion, mayebe it was for a high ranked officer, as this is more gentle than the typical german ww1 body armor [grabenpanzer]. 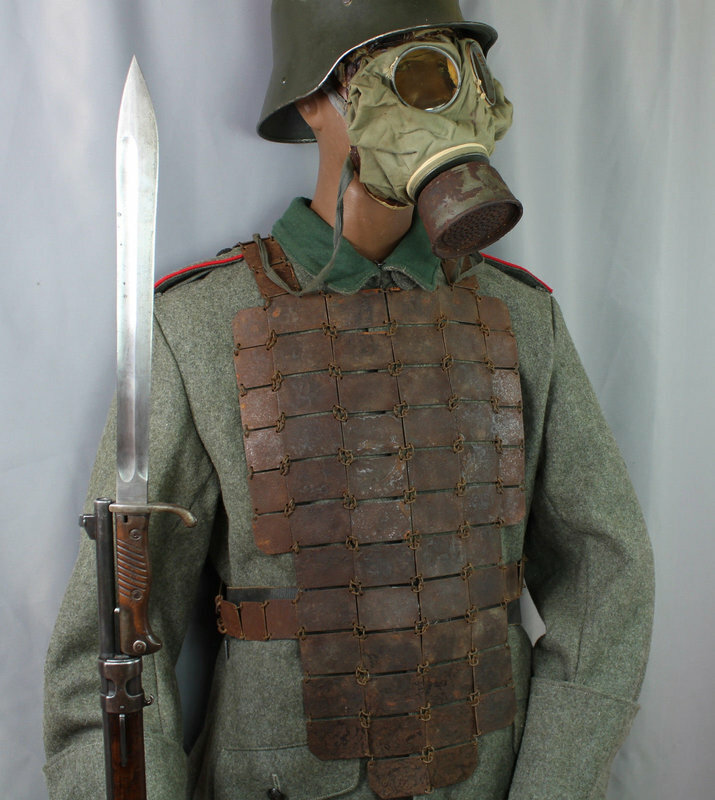 Any ideas about photographs mayebe, with this type of armor??? 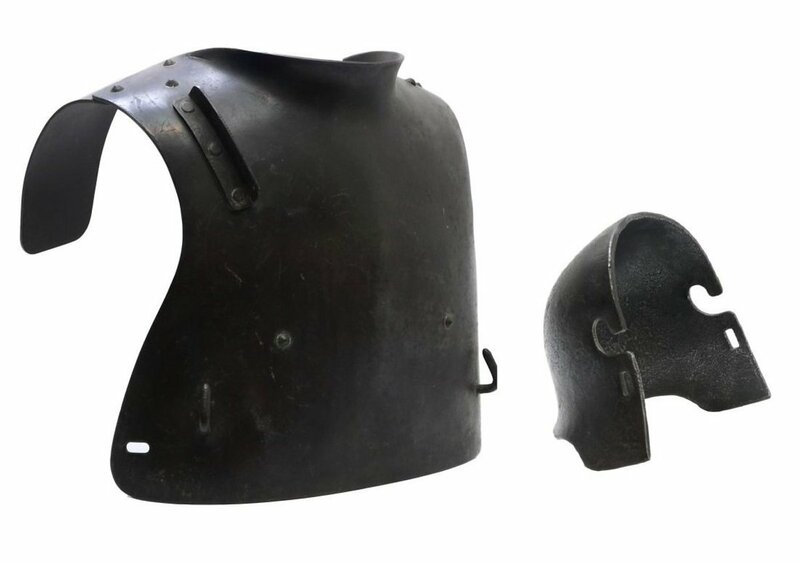 The first photo is from a british similar body armor ww1.First tried in battle in 1915 body armour was, as far as British usage were concerned, used mainly on an individual basis as it never became a universal issue (it is understood that only enough body armour was available to equip 2% of the army). the third photo from Osprey book, about british soldier during ww1. E.T. is normally " Eisenhüttenwerke Thale A.G., Thale /Harz" (they made Stahlhelme as well with the E.T. stamp). 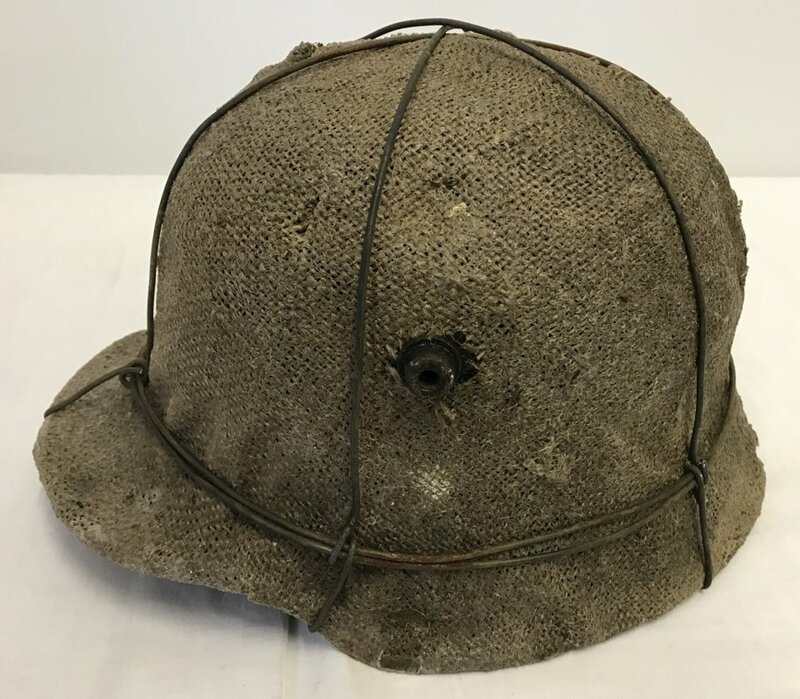 At the outset of the First World War no army was prepared for the challenges that were to unfold where thousands of men died as a result of wounds that they might otherwise have survived if they had have worn better protective personal equipment. 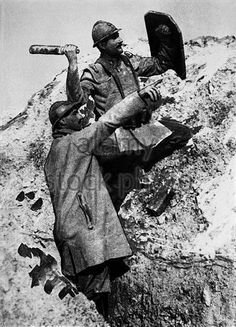 Such high dependence on high explosive artillery shells throwing splinters, shrapnel and other fragments on the Western Front inflicted horrendous wounds on those clothed in soft uniforms with little head protection. 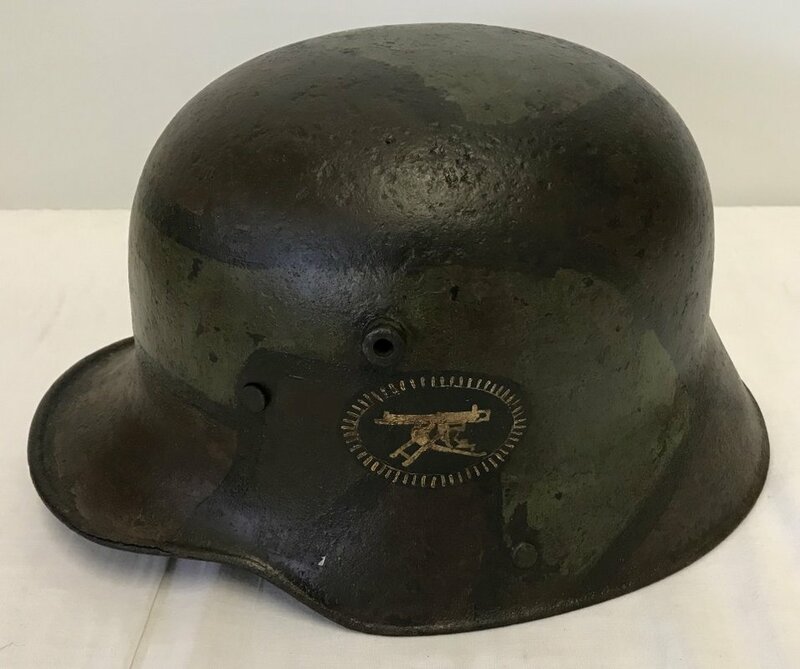 Protective headwear in the form of steel helmets was adopted by most combatant armies by 1916 and that precaution enabled many to survive wounds caused by low-velocity and secondary impact missiles that earlier would have claimed one in four as fatal. Of all wounds 60% were to the extremities with 20% to the head and neck, and 20% to the torso, therefore other protection in the form of body armour was given consideration. In Britain no fewer than eighteen designs were commercially produced, made for sale and often purchased by anxious relatives for sons serving overseas. 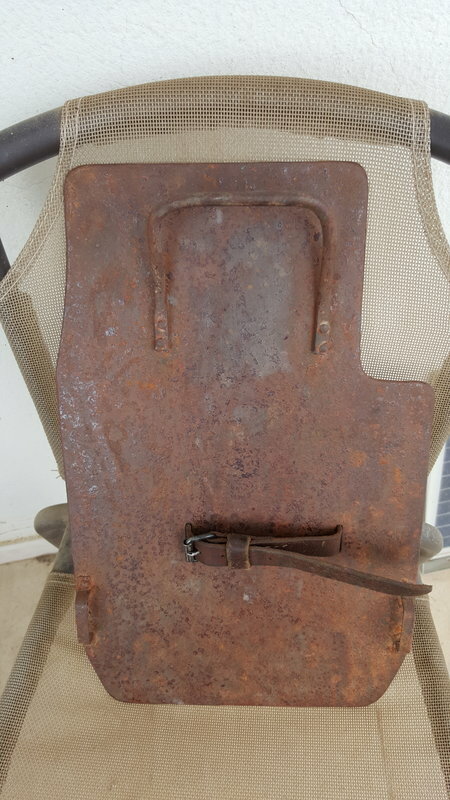 First tried in battle in 1915 body armour was, as far as British usage were concerned, used mainly on an individual basis as it never became a universal issue (it is understood that only enough body armour was available to equip 2% of the army). 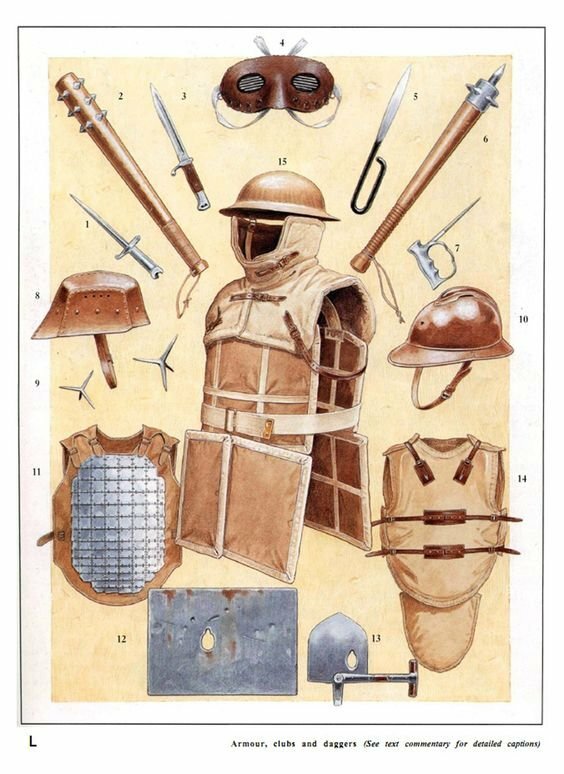 Of the types used by British personnel, there were three main categories: Rigid 'hard' armour (often comprising of metal plates sandwiched between fabric and worn as a vest or waistcoat); Intermediate armour (various forms of small square plates of metal attached to a canvas support to form a protective waistcoat); Soft armour (made of layers of silk/cotton/tissue & linen scraps sandwiched in fabric waistcoat). All three general types had inherent problems: Rigid armour was heavy and thus uncomfortable and not practical to wear in the assault, whilst the separate metal links of the intermediate if hit with sufficient energy could embed in to the man's body with the projectile, and the latter although sufficient to absorb the impact of low-velocity strikes (as intended), was rendered useless in wet weather when saturated. 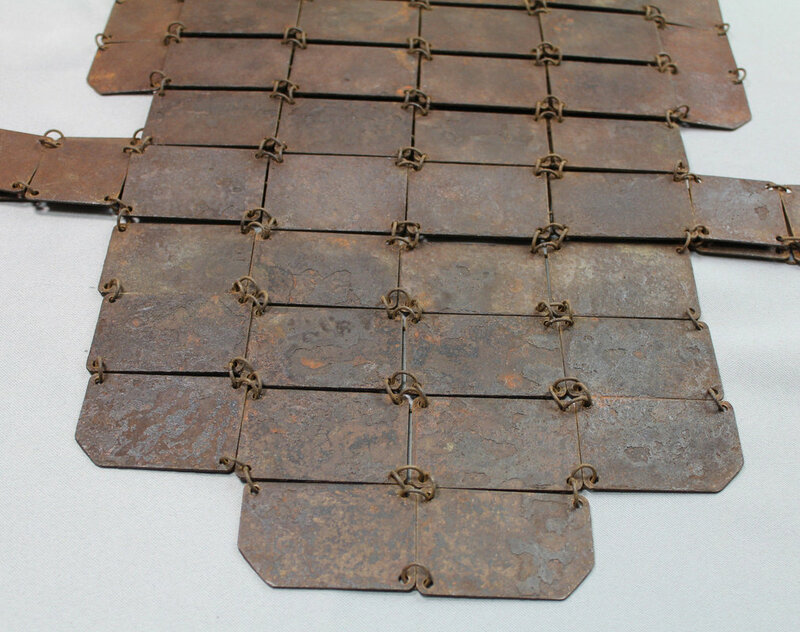 This item is of the intermediate variety, comprising a series of eight rows of flexible squares of metal, joined by steel rings and mounted front and back to a padded waistcoat. 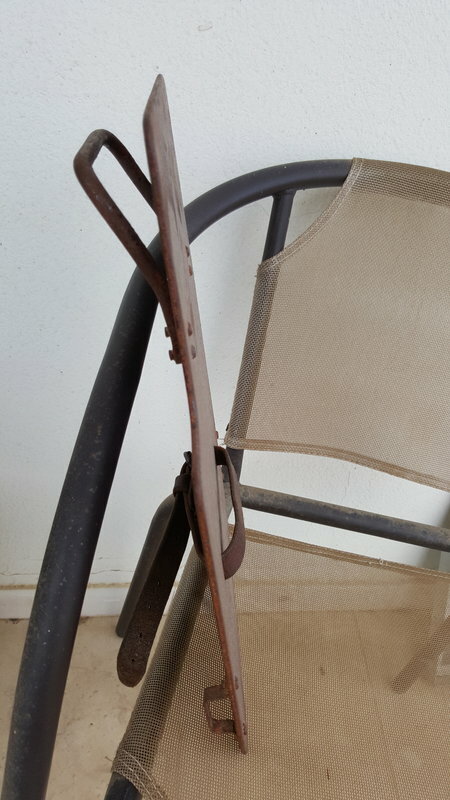 Originally of French design, this system was manufactured in France and available in England from 1916. 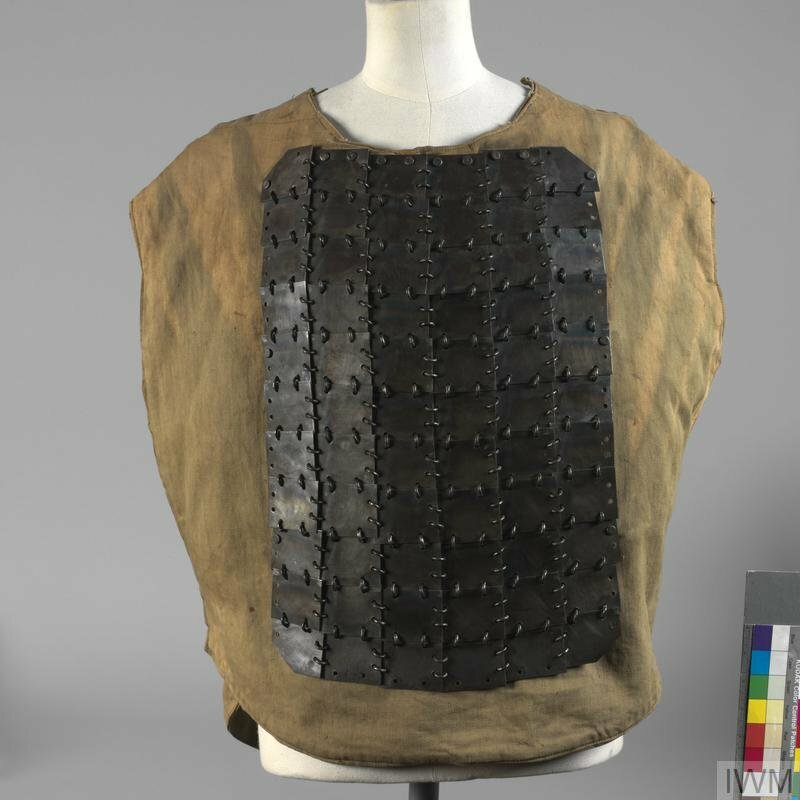 Being reasonably lightweight this armoured waistcoat could be worn beneath the service dress jacket and would offer some protection against low velocity shrapnel, fragments and splinters, however if the wearer was hit by a pistol round he faced the grave risk of having his wound complicated with the possibility of fragments from the metal squares being pushed into his body (it was reckoned that the metal plates had one third the resistance of the British steel helmet). 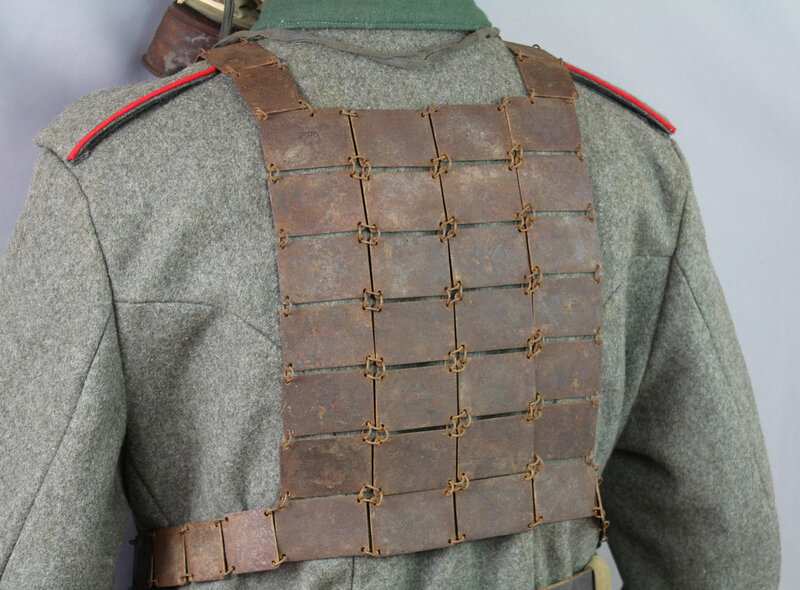 Commercially marketed as a 'cuirass' and a 'life saving waistcoat', they were popular with soldiers and retailed in the press and military outfitters in England. 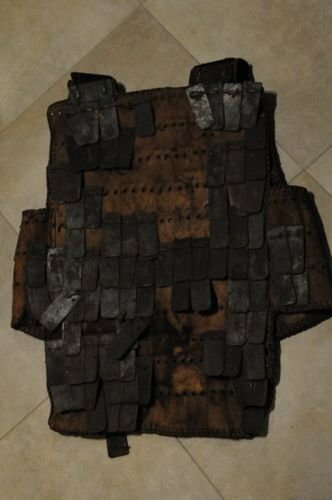 here is aww1 french protective vest found in very bad condition in belgium, which i got it during 1989 on my visit in there, from a local antique shop. 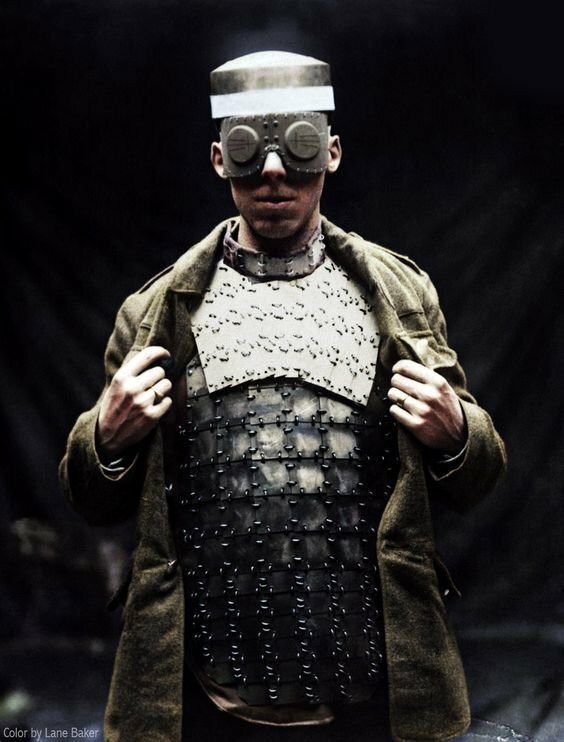 The use of body armour by soldiers was never widespread during the First World War. The cost of both producing large numbers of armour vests, and also the expense of family members buying them for their relatives in the army meant it was never a cost effective proposition at the time, despite the fact it may well have saved large numbers of lives if it had been effectively tackled. Soldiers were also wary about wearing something that weighed them down, particularly in muddy conditions, and made them slower and less agile during an attack. However some soldiers did choose to wear armour and there were clear cases of it saving their lives as a result. Sergeant Baker of the Sussex Regiment participated in the Battle of the Boar’s Head in 1916 where he was wounded. 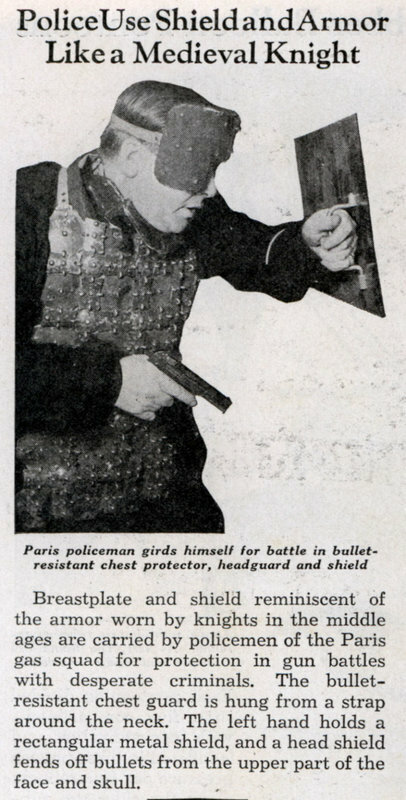 He reported to a journalist from the Eastbourne Gazette how his body armour saved him from a far more serious injury. 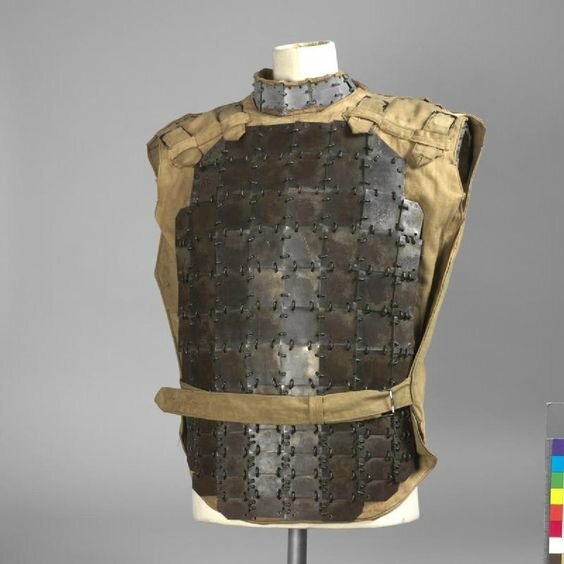 The Davey Body Shield was an example of ‘hard’ armour that featured solid metal plates contained within a canvas vest. In the example of Sergeant Baker the vest performed exactly as designed, by deflecting the bullet away from his torso and ensuring that what could have been a life threatening wound was far less serious. Given the casualties the Southdowns Battalions suffered at the Boar’s Head, Baker could certainly count himself as fortunate to have escaped with just a wound. Ernst Jünger visualized in "Storm of Steel" (In Stahlgewittern, 1st edition 1920, page 133-134) a British trench raid where a young lieutenant had been killed by a pistol shot being fired by a certain Leutnant Reinhardt. 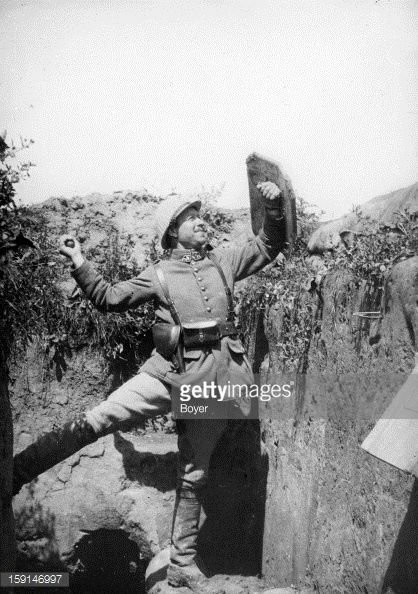 The lieutenant wore a body armour but Reinhardt's pistol bullet pushed one of the armour plates into the man's body. 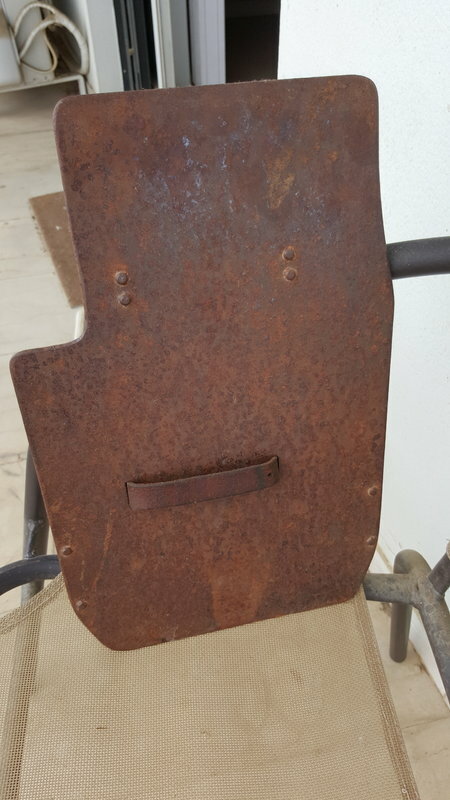 A VERY RARE TRENCH SHIELD, USED BY GERMAN SOLDIERS DURING WW1. ALSO HAS A USE AND AS A GRABENPANZER. AND A SAWTEETH SHOVEL, USED ON WW1. MARKINS AND NUMBERS, AS SEEN IN PHOTOS. THIS ONE I BOUGHT IT FROM UK RECENTLY AND IS ORIGINAL, BUT SOMEONE PUT AND THE WIRE TO MAKE IT MORE ATTRACTIVE TO BYUERS. 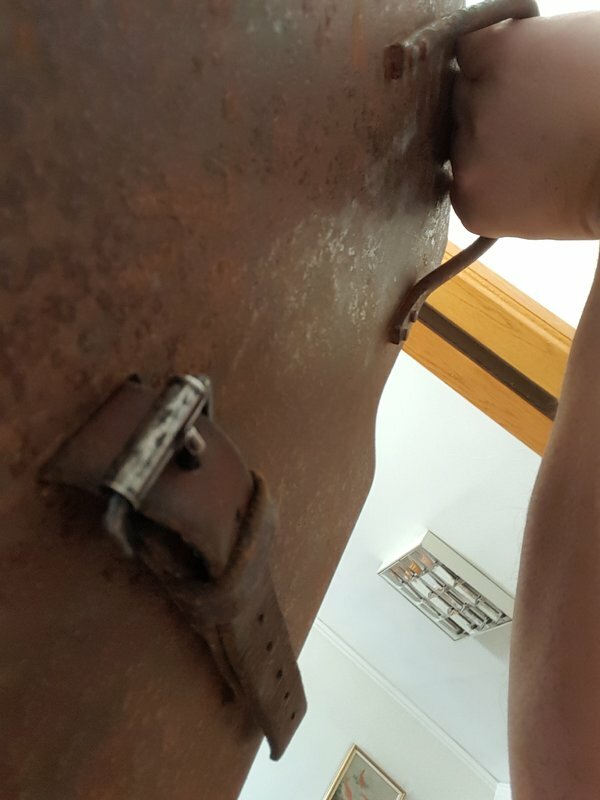 THE USE OF MY TRENCH SHIELD. 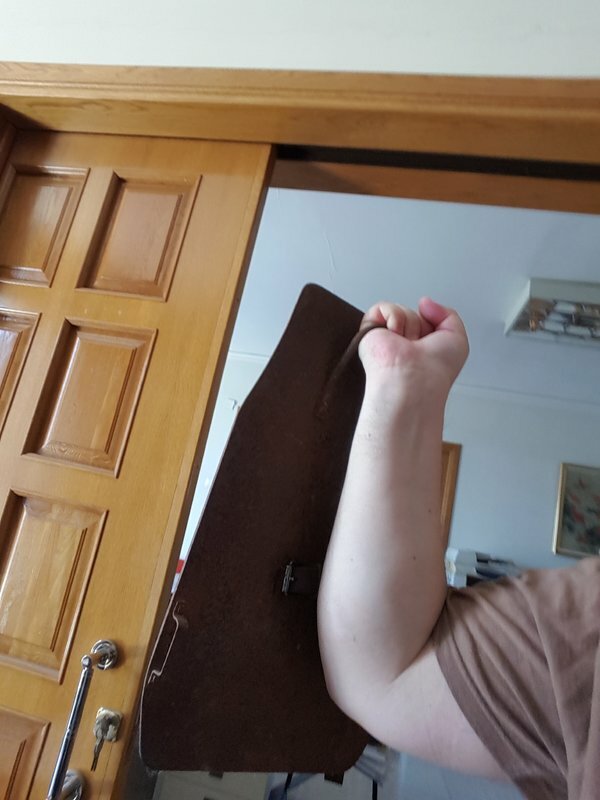 I DID NOT PLACE THE LEATHER STRAP IN MY HAND, AS IT IS VERY FRAGILE, BUT I HAVE TOOK SOME PHOTOS, JUST TO GET THE IDEA OF THE USE. I am still having trouble figuring out how to display my own. some excibits i am displaying on the wall, some on my living room, but most of them are inside their parcels. if you want to make a serious effort on displaying them, you will need a small fortune. 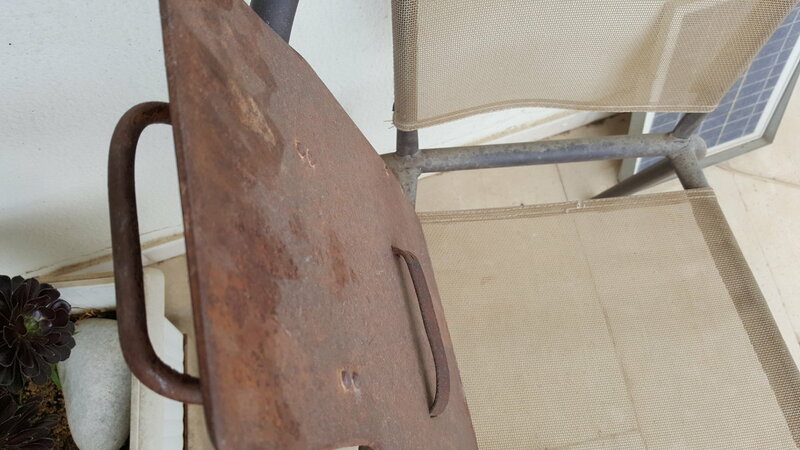 Quite heavy pitting for a non-relic helmet. UNFORTUNATELY MOST OF THE HELMETS WERE KEPT AS TROPHIES AFTER THE WAR. IN FRANCE, THEY USED THEM AS BOWLS FOR CHICKEN FEED. THIS ONE WAS BOUGHT FROM AUCTION HOUSE IN UK. THE AUCTION HOUSE GOT A LARGE COLLECTION FROM WW1 TROPHIES. MOST OF THEM WERE IN TERRIBLE CONDITION. THIS WAS OILED BEFORE EXCIBITION. UNFORTUNATELY, WE CANNOT HEAR WHAT STORY HAS TO SAY. 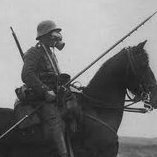 AS I HEARD IN KASSEL'S EXCIBITION FOR WAR WORLD 1 MEMORABILIA BACK IN 2006 "FRENCH FOUGHT FOR FATHERLAND. GERMANS FOR GLORY. BRITISH FOR QUEEN AND AMERICANS FOR TROPHIES!!!!! ".